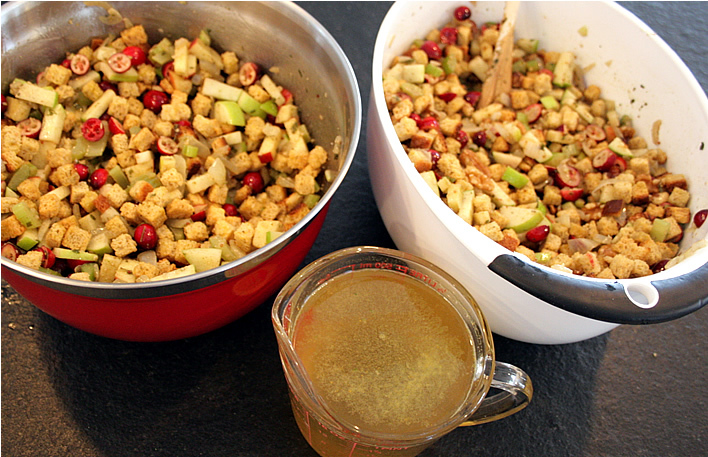 Cranberry Apple Cornbread Stuffing: Step by Step | Your home, only better. This particular recipe is for my nine-year-old daughter who has been talking about her Mama’s Famous Stuffing for a couple weeks now. No, it’s really nothing exotic, but I love that she thinks it’s special – that’s good enough for me! 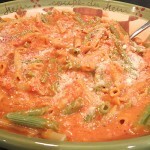 So, I thought I would share the recipe here with step-by-step instructions so one day…many days/years from now…she will know where to find the recipe and make it herself. That, and if I lose it (which does happen) I’ll know where to find it. 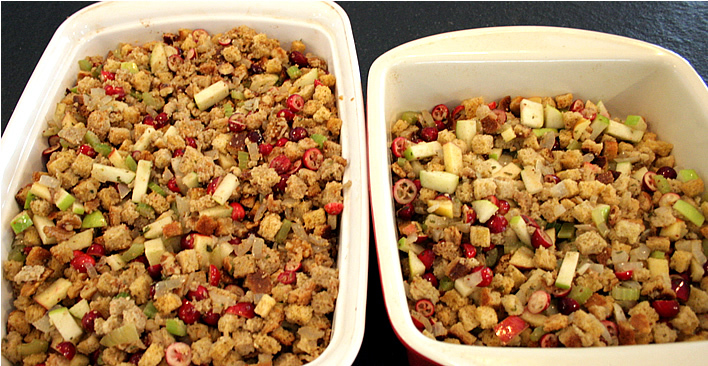 So here is my “famous” stuffing in easy step by step instructions. 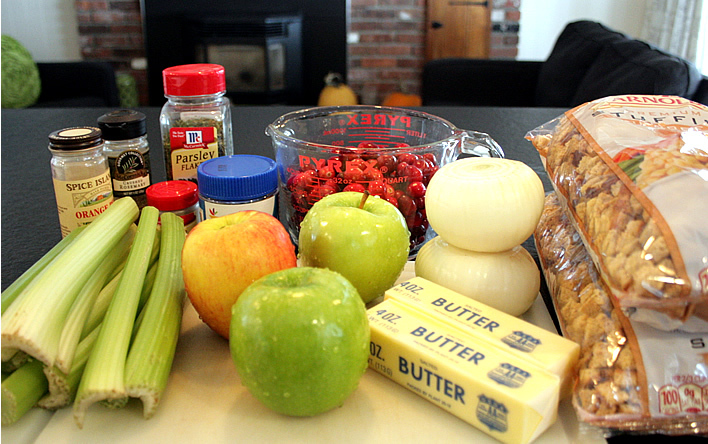 Because I believe that turkey is an excuse to make stuffing, I make a lot. I stuff 1/4 of the good stuff in a 15 pound bird, and then cook the rest on the side so we have plenty. 1. 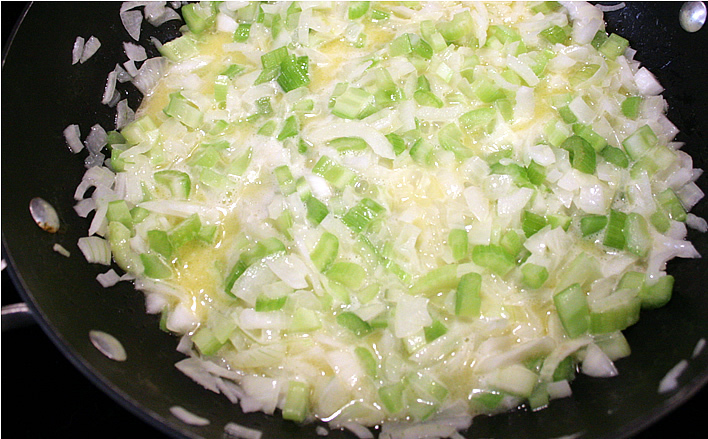 Chop the onions and celery and add to the 1 cup melted butter in a skillet. 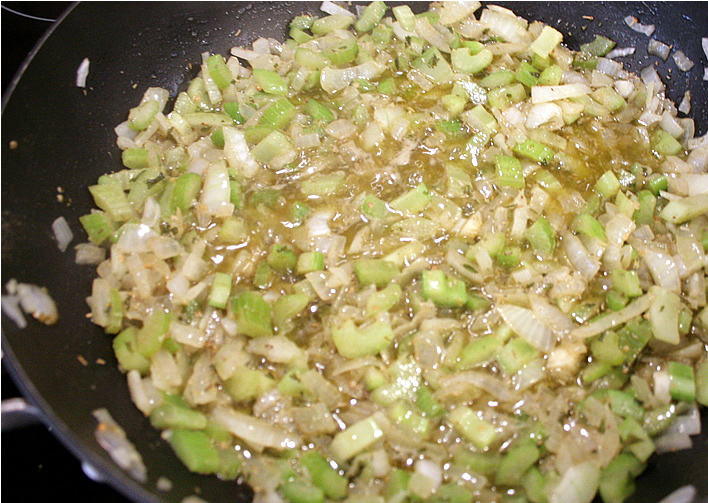 Saute for 5-7 minutes – smells amazing! 2. 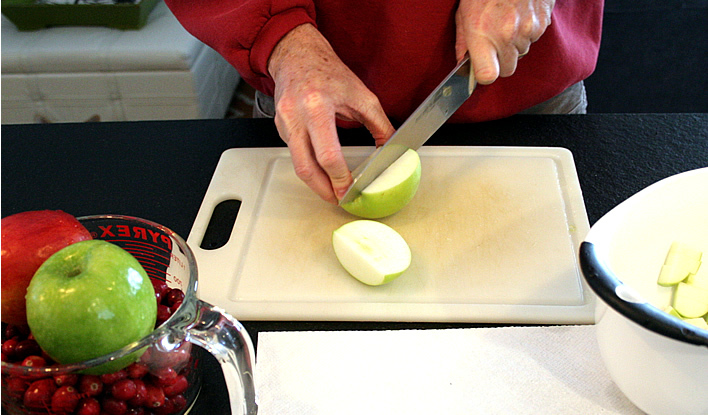 While that is sauteing, delegate the chopping of apples and cranberries to your significant other or kid. 3. 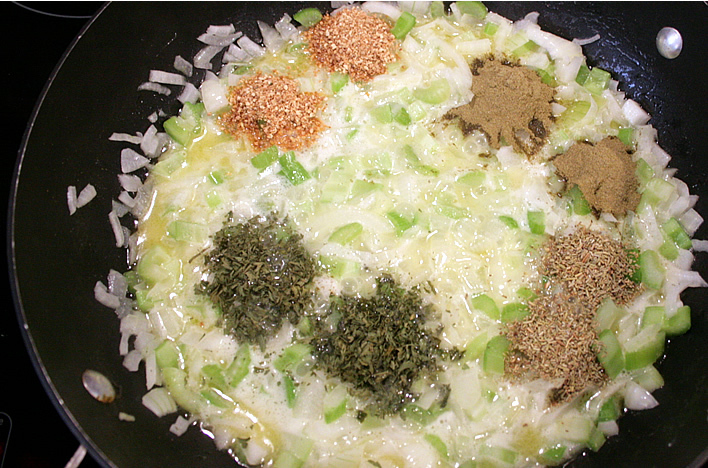 Add your spices and let the flavors blend for a few minutes, then turn off the stove for the next part. 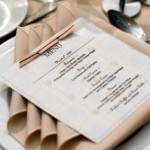 Too bad the internet has not yet figured out a scratch and sniff app. 4. 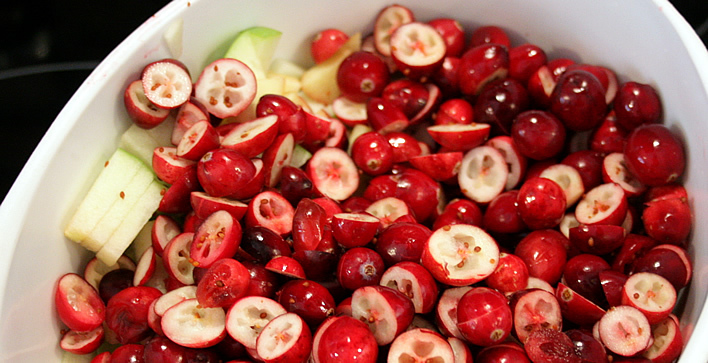 After turning off the stove, fold in the cranberries and apples. 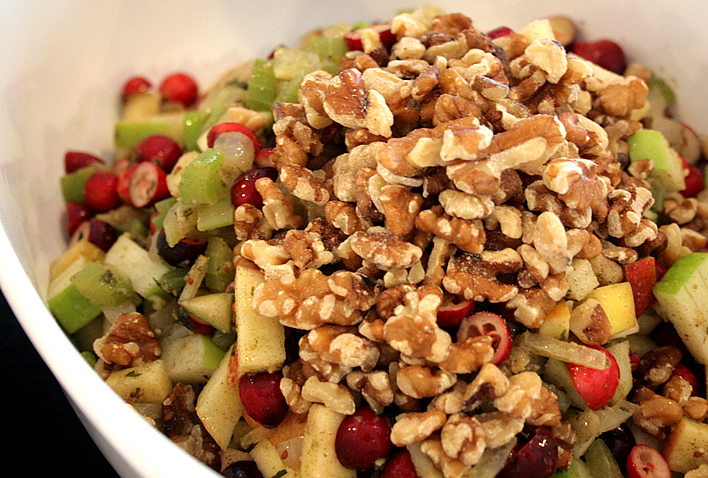 I do it this way so I can add walnuts to only half, and I don’t have a bowl big enough to mix it all together! 6. 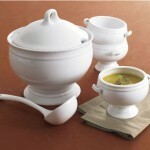 Add 1 cup of chicken broth to each bowl and mix in. 7. 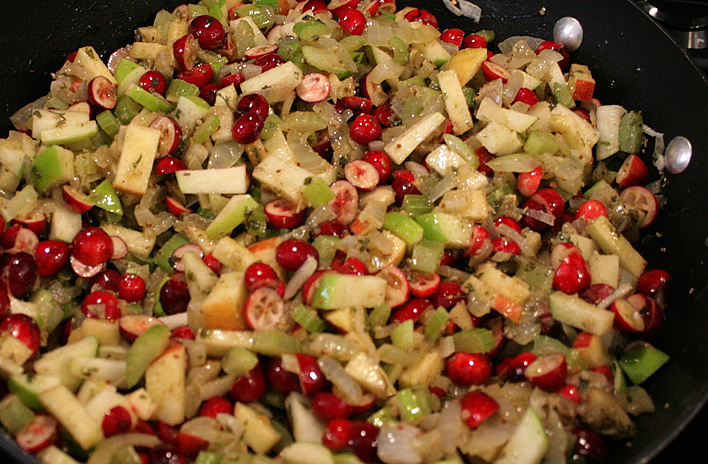 Stuff whatever you can fit into the bird, then spoon the remaining stuffing into casserole dishes to bake. 8. 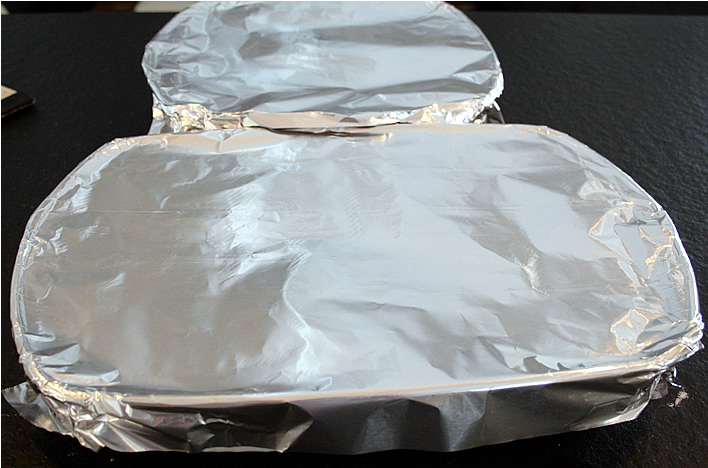 Cover with foil and bake at 325 degrees for around 40 minutes. I’d show you the after, but it’s still in the oven. 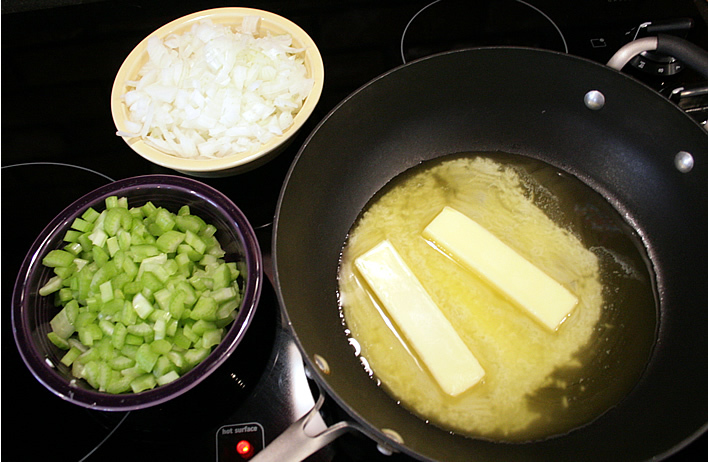 Gotta go make the mashed potatoes and green beans now. « $200 Target Gift Card Christmas Giveaway! 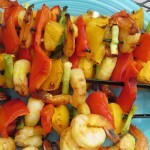 Looks so good, and gluten free. 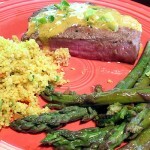 I will try it for Christmas dinner.